Even kids this young are starting to become tech savvy. 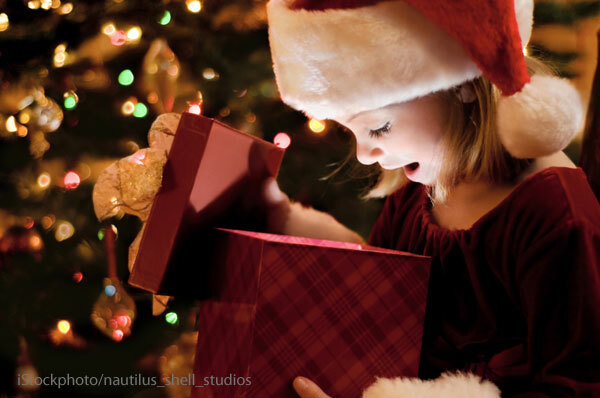 So if you're looking for a gift they'll love, check our favorite tech toys for kids ages 3-6 this holiday season. Doc McStuffins toys are all the rage, and will likely be one of the items you’ll be hard-pressed to find on shelves come holiday season. 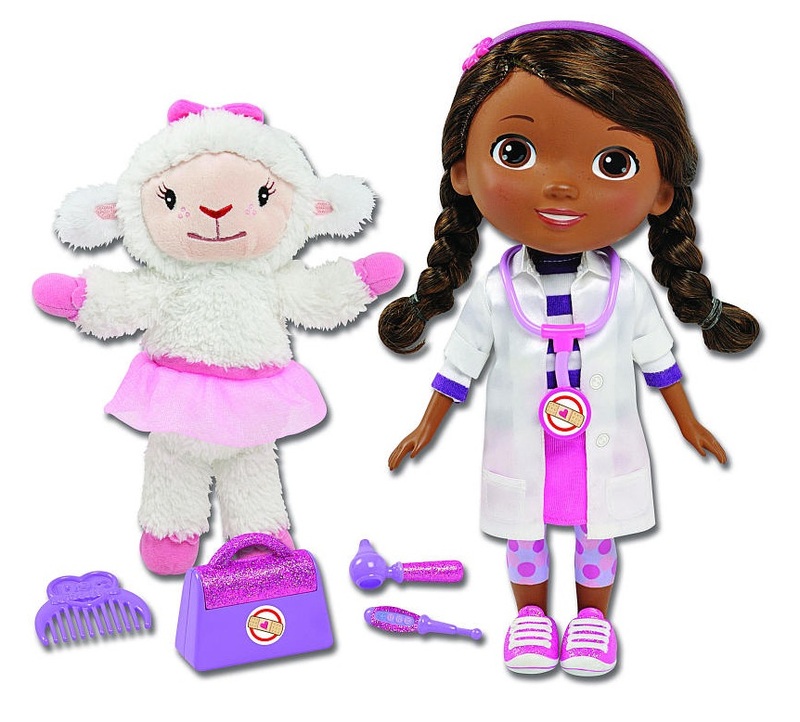 This set comes with Doc, who sings the “Time for Your Check Up” song, Lambie and several other accessories including Doc’s check up tools to make Lambie talk. You can use her stethoscope to “listen” to Lambie’s heartbeat, and the thermometer to make Lambie giggle. The Time for Your Check Up Doll is recommended for 3-7 year olds. 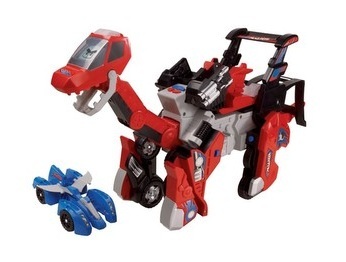 A 2-in-1 toy that transforms from a dinosaur with dinosaur sounds, to a vehicle with vehicle noises, and back again. The Switch and Go Dinos has an animated LCD screen with special looks for each character, and comes with up to 80 sounds and dinosaur facts. There are seven models including Brok the Brachiosaurus (shown), Span the Spinosaurs, T-Don the Pteranodon and Sliver the T-Rex. 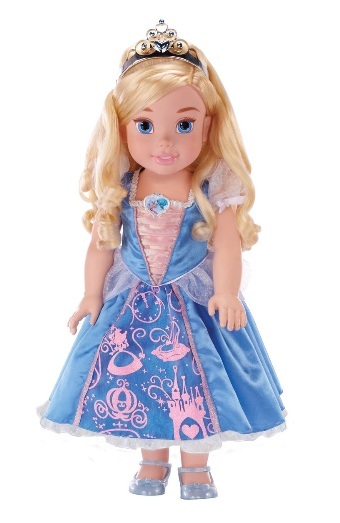 This adorable Cinderella doll goes high-tech. A swoosh of her magic wand and Cinderella's dress lights up in sparkly light pattern, and she sings "Bibbidi-Bobbidi-Boo." Cinderella also says 15 charming phrases such as "I believe dreams come true!" My Magical Wand and Sparkling Lights Cinderella comes with magic wand, light-up dress, glittery "glass" slippers, tiara and hairbrush. Cinderella is recommended for girls 3-5 years of age. If you've already begun scouting out deals for potential gifts this holiday season, you may want to add Xbox 360 to your list. You'll find significant discounts off some great kids titles, putting some games in reach under $20. In addition, Microsoft has launched a holiday season sale to bring “Xbox Entertainment for All”, with pricing starting as low as $99 with a 2-year Xbox Live Gold membership ($14.99 per month). You can get a full round up of all titles and Xbox 360 options. If you can't seem to pry your tablet away from your child, this second generation LeapPad from LeapFrog may just do the trick. With a front and back camera, 4 GB of memory, and more than 325 games to choose from cartridges, this could a great alternative to other devices. 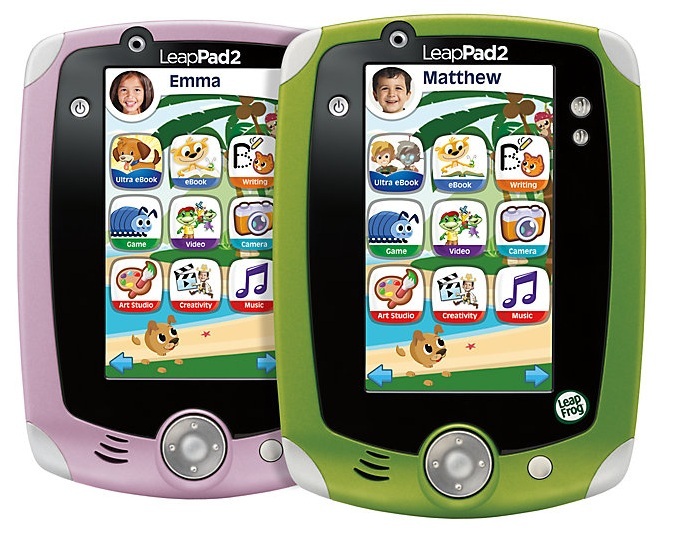 We recommend the LeapPad 2 for children 3 years old up to about 5 years of age. 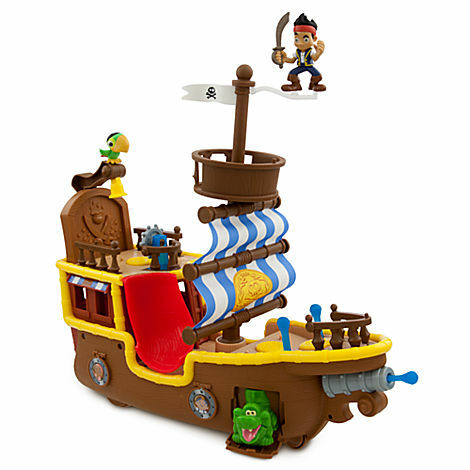 Based off the Disney TV show of the same name, this ship plays over 25 sounds, including pirate phrases and music. There’s a real working cannon, and other movable parts including Tick Tock the Croc who’s hidden behind a trap door. Jake's Musical Pirate Ship Bucky is recommended for kids 3-5 years of age. This handheld device is designed for both fun and education. 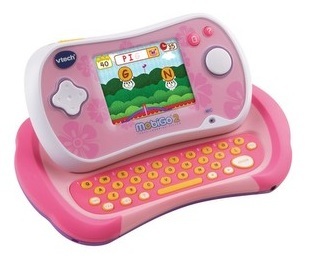 The Vtech MobiGo 2 has a touchscreen, full QUERTY keyboard and now comes with a motion sensor and microphone. Games and apps teach everything from math, spelling and reading, and it can function as an e-reader, photo viewer and comes with an art studio. 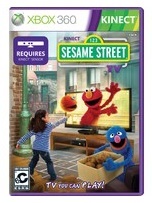 The MobiGo 2 is recommended for kids 3-6. Available in blue and pink. 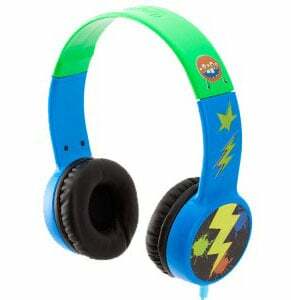 Griffin has teamed up with Crayola to come up with a pair of branded customizable headphones that also have volume-limiting technology to keep sound to safe levels for young kids. The MyPhones come with 40 provided stickers or create your own stickers with 3 included Crayola markers. Available in Blue/Green and Pink/Purple. If you're looking for a cute, kid-friendly way to keep your iPad's games, apps, music, and photos safe then check out these cases by Beatrix New York. 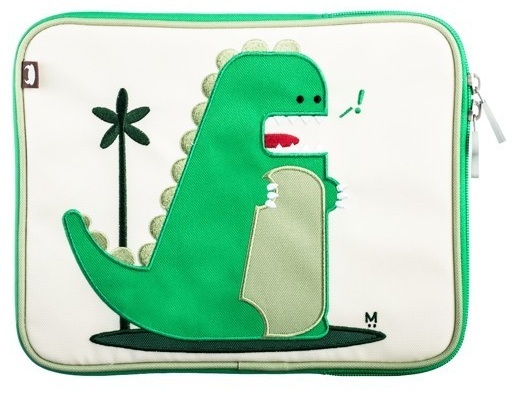 Each case is water-resistant, padded, and velvet-lined for kid-proof protection. Three versions are available including percival (pictured), pixel and juju. Each case is PVC free, Phthalate free, BPA free, lead free and fits all generations of iPads.